Clients | Kapital Data Corp.
Two decades of commitment to learning and executing Oracle centric solutions has landed us a Oracle Gold Partner status. In addition, Kapital Data is also Oracle's CSP Partner for staff augmentation across it's product lines: Oracle Cloud, Peoplesoft, Oracle CX, JD Edwards, Hyperion and other products and solutions. California State University system, the largest public four-year system of higher education in the United States with 23 campuses, more than 479,000 students, and 49,000 faculty and staff. Kapital Data is providing consulting services for the unified Peoplesoft HCM system and specifically for the Absence Management Module in Peoplesoft HCM Solution. In addition, as service provider, Kapital Data also provides for all Peoplesoft and Information Technology projects staffing support. Our contract with CSU allows us to service the IT (ERP Applicatons, Infrastructure, WEB and IT) across all 23 campuses. Kapital Data Corp is proud to be strategically aligned with Oklahoma Heart Hospital in executing their PeopleSoft Lease Administration Fit Gap and pre-implementation. The client was pleased with the outcome of Phase 1 and entrusted us to go on to Phase 2 and the full implementation of Lease Administration. 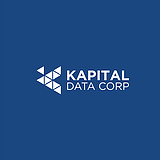 Kapital Data Corp was chosen for the expertise of our senior professional consultants and our experience with Lease Administration. If you are interested in implementing Peoplesoft Lease Administration you must call the winning team that helped OHH! 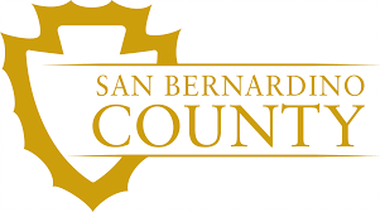 The county of San Bernardino upgrading their Peoplesoft HRMS applications to ver 9.2. To accomplish an upgrade of this magnitude the county is utilizing the services of Professional Consultants from Kapital Data. In addition, as service provider to the county, Kapital Data provides routine Peoplesoft and general Information Technology staffing. 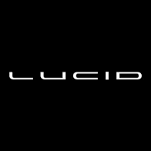 Lucid Motors's mission is to create a car that elevates the human experience and transcends the perceived limitations of space, performance, and intelligence. We are thrilled to be part of this next-gen company. We are helping Lucid with their ERP package implementation services. Although the current engagement is focused on the Financials side we expect the scope and relationship to grow. Masonry is the world’s first and largest fraternal organization and is based on the belief that each man has a responsibility to help make the world a better place. We are delighted to be aligned with the Masons. The Kapital Data Workday Integrations team has helped develop integrations to handle seamless cross over to Igoe from the existing FSA system. MorganFranklin Consulting is a global management and technology consulting firm that works with leading businesses and government to address critical finance, technology, and business objectives. MorganFranklin engaged Kapital Data's Peoplesoft OffSite Development Team to build a custom Peoplesoft AR Collections Workbench solution using Oracle ADF. Our collaboration has been truly remarkable given the project deadline and challenging budget. We earned sole source status on their offsite projects. Capgemini a global leader in consulting, technology services and digital transformation, Capgemini is at the forefront of innovation to address the entire breadth of clients' opportunities in the evolving world of cloud, digital, and platforms. We are very proud to . have them as our client. We are delivering very niche Commercial Pharma Data talent, Enterprise Software implementation support staff augmentation services. Ciber Global is an IT consulting company who partners with organizations to develop technology strategies and solutions that deliver tangible business value. Founded in 1974, Ciber is an HTC Global Services company. Kapital Data is a Tier 1 Ciber Staffing Partner. We provide staff augmentation for all Ciber clients across all IT disciplines. We have staffed their Oracle EBS implementation at City of Philadelphia. Kapital Data is providing consulting services for the Admission Module in Peoplesoft Campus Solution for the Office of Enrollment Management at San Francisco State University. In addition as service provider for all Peoplesoft and general Information Technology and Software consulting services on a Project Basis as well as time material staffing basis based on what the client's needs are. 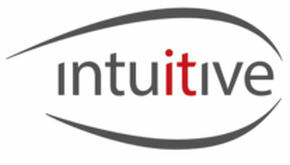 Intuitive Technology Group is an IT Staffing and Consulting services company with practice areas in DevOps, Big Data, Agile, and ITSM. Intuitive partnered with Kapital Data to provide staff augmentation for strategic clients with Peoplesoft specific talent needs for Peoplesoft 9.2 upgrade needs within the Public Sector. Kapital Data Corp. has worked with Iceberg Technology Group from the very beginning - and we’re thrilled to be their partner throughout our journey. Together, we have achieved outstanding results, and it has been a pleasure to watch both our businesses grow. Hitachi Consulting accelerates your digital journey by arming you with new operating models that deliver superior business outcomes and propel you ahead of competitors. When they are augmenting their project staff they turn to Kapital Data Corp - we are preferred staffing partner. LiquidHub is a customer engagement company that partners with businesses to improve customer experience and drive growth. Liquidhub approached us for very specialized Commercial Pharma Data talent. Our collaboration has been truly remarkable, and we’re thrilled to see our relationship strengthen and we are happy to play a small part in Liquidhub's story as a leader in their industry. 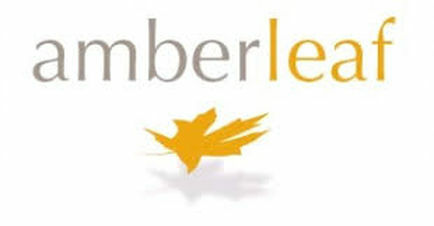 AmberLeaf consulting helps clients create differentiated customer experiences. Amberleaf is known for helping turn customer data into insights so their clients can act to increase customer loyalty, grow revenue, and strengthen their brands. Amberleaf has approached Kapital Data for outsourced offshore Oracle CX Service development our relationship is growing every day based on exceptional capability and value Kapital Data has been able to deliver. AccessStaffing routinely engages Kapital Data on an exclusive basis on Contract, Contract to Hire and Direct Hire staff augmentation needs - specific to Peoplesoft and Oracle Cloud talent needs. We have recently expanded our relationship to cover executive search and permanent placement of senior Software Developers with Trading Floor and Financial Services expertise. Knowledge:IT, a Cooperative is a group of IT professionals working primarily in the Twin Cities area of Minnesota. Kapital Data is delighted to be aligned with both large and small companies that leverage our singular focus in acquiring the very best in ERP talent. We found in our relationship with Knowledge:IT the value of true partnership in solving client challenges. PCG has successfully positioned itself as a leading provider of ERP selection, implementations and managed services company. 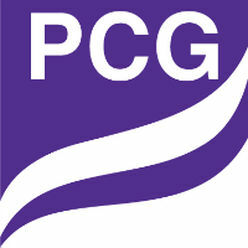 PCG is an Infor Platinum Partner. PCG is our RPO (Recruiting Process Outsourcing) client. We have entered into long term contract to support their internal hiring needs for their Infor LN, Infor EAM, Birst, Microsoft and Oracle Netsuite consulting practices. We also engage with them occasionally on IT staff augmentation needs. Helix delivers the promise of Oracle Service Cloud (RightNow Technologies), Service and Call Center expertise. Helix approached us at an inflection point in their growth when they could no longer depend on internal referrals to build their bench. Kapital Data helped make many crucial Oracle CX Service Cloud hires to keep up with growth. We expect to continue to provide just in time highly specialized talent acquisition capability to Helix so they can continue to grow and not worry about capability. As a division of NTT DATA Corporation, a top 10 global IT services and consulting provider, NTT brings deep industry expertise around a comprehensive portfolio of infrastructure, applications and business process services. Kapital Data is very proud to be a preferred vendor to NTT Data's strategic staffing. For nearly 40 years, Pemeco Consulting has been leading manufacturing, distribution, and retail clients into the next phase of their evolution, through transformational projects that cut across technology, organizational structures, and business processes. We partner with Pemeco strategically as their preferred staff augmentation partner. SpearMC's deep knowledge of Peoplesoft systems and integration, IT strategy, and operational improvements help them consistently deliver excellent service and real ROI for their clients. We have partnered with SpearMC on the most challenging and very niche Peoplesoft skills to jointly provide their clients solutions they have come to expect.